JEREMY BLACK is Established Professor of History at the University of Exeter. Graduating from Cambridge with a starred first, he did postgraduate work at Oxford and then taught at Durham, eventually as professor, before moving to Exeter in 1996. He has lectured extensively in Australia, Canada, Denmark, France, Germany, Italy, New Zealand, and the United States, where he has held visiting chairs at West Point, Texas Christian University, and Stillman College. He was appointed to the Order of Membership of the British Empire for services to stamp design. He is, or has been, on a number of editorial boards, including the Journal of Military History, the Journal of the Royal United Services Institute, and History Today, and was editor of Archives. His books include The British Seaborne Empire, Contesting History, and Rethinking World War Two. The reality of being top dog is that everybody hates you. In this provocative book, noted historian and commentator Jeremy Black shows how criticisms of the legacy of the British Empire are, in part, criticisms of the reality of American power today. He emphasizes the prominence of imperial rule in history and in the world today, and the selective way in which certain countries are castigated. Imperial Legacies is a wide-ranging and vigorous assault on political correctness, its language, misuse of the past, and grasping of both present and future. In Thanksgiving, award-winning author Melanie Kirkpatrick journeys through four centuries of history, giving us a vivid portrait of our nation’s best-loved holiday. Drawing on newspaper accounts, private correspondence, historical documents and cookbooks, Thanksgiving brings to life the full history of the holiday and what it has meant to generations of Americans. After the Constitutional Convention, Benjamin Franklin was asked, “Well, Doctor, what have we got—a Republic or a Monarchy?” Franklin’s response: “A Republic—if you can keep it.” This book argues: we couldn’t keep it. 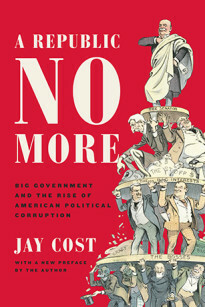 In a fascinating blend of biography and history, Joseph Tartakovsky tells the epic and unexpected story of our Constitution through the eyes of ten extraordinary individuals—some renowned, like Alexander Hamilton and Woodrow Wilson, and some forgotten, like James Wilson and Ida B. Wells-Barnett. In the course of his illustrious career, Michael Novak has written several prize-winning books on theology and philosophy. 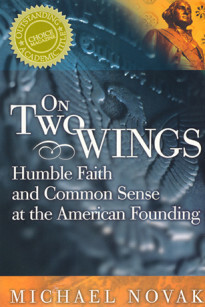 In On Two Wings he has created a profound mediation on American history, and on human nature and destiny as well. In Flight of the Eagle, Conrad Black analyzes the strategic development of the United States from 1754-1992. Black discredits prevailing notions that our unrivaled status is the product of good geography, demographics, and good luck. Instead, he reveals the specific strategic decisions of great statesmen through the ages that transformed the world as we know it and established America’s place in it. In The Goodyear Story, Richard Korman has written a fascinating biography that also provides a panoramic view of America in the first light of its industrial revolution. Drawing on newly discovered archival records, Korman tells a suspenseful story of scientific experimentation and legal struggle in creating a portrait of an eminent American whose eccentricity anticipates the new economy pioneers of today.